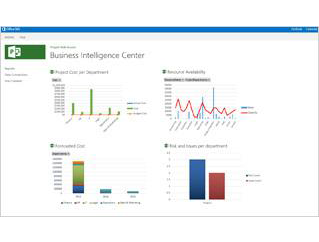 with flexible plans that help you quickly and easily sign up for the service that best fits your business needs. 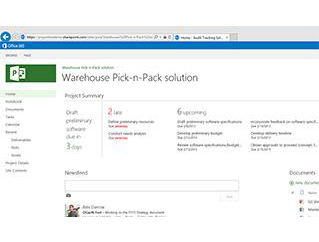 Effectively manage resources with Project Online to see what your teams are doing — even when they’re managing everyday work or ad hoc projects in SharePoint Online. 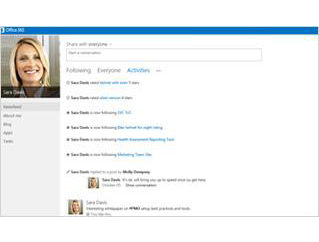 Strengthen everyday collaboration with the social experiences of SharePoint Online, which facilitate discussions, information sharing, and your team’s ability to get work done. Seamlessly communicate with new ways to collaborate and have conversations to improve overall teamwork. 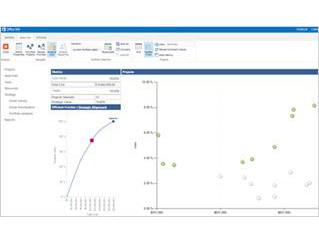 Quickly innovate and respond to opportunities with a unified Microsoft cloud services experience in SharePoint Online, Exchange Online, Lync Online and Office 365.